Elmer Peter "Stick" Kromer, 94, of Huron, formerly of Finch Street, Sandusky, where he had lived for over 60 years. 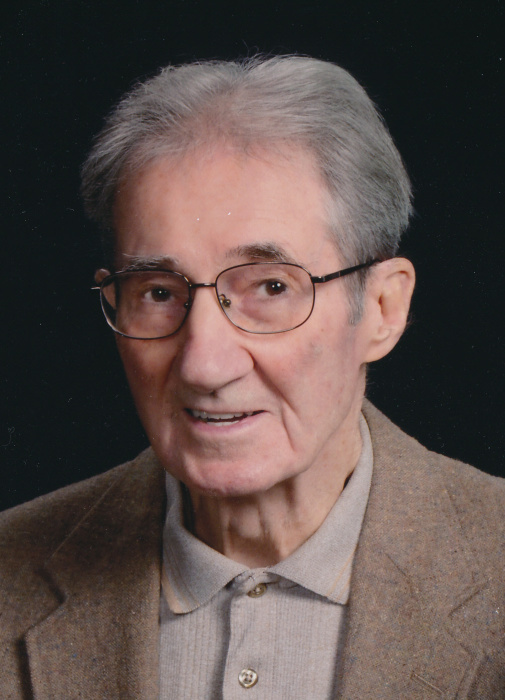 passed away peacefully late Tuesday afternoon, March 19, 2019, in the Stein Hospice Care Center, Sandusky, with family at his side, after a lengthy illness. Born on September 12, 1924, in Sandusky, OH the son of Louis and Lavina (Rader) Kromer. Prior to graduating from high school, Elmer enlisted in to the U.S. Army having served honorably from 1942-1945, as a Sergeant and Chief Radar Operator with the 115th Coast Artillery Battalion (Anti-Aircraft Division) during W.W. II, he had seen action in Normandy, Northern France, the Rhineland, Ardennes (Germany), England and Central Europe. He participated in the invasion at Omaha Beach and the Battle of the Bulge and was a recipient of the EAME Theatre Service Medal with 5 Bronze Stars. Years later, Elmer and his wife, Mary, were able to visit Omaha Beach and other World War II sites on a European tour in September 2011. 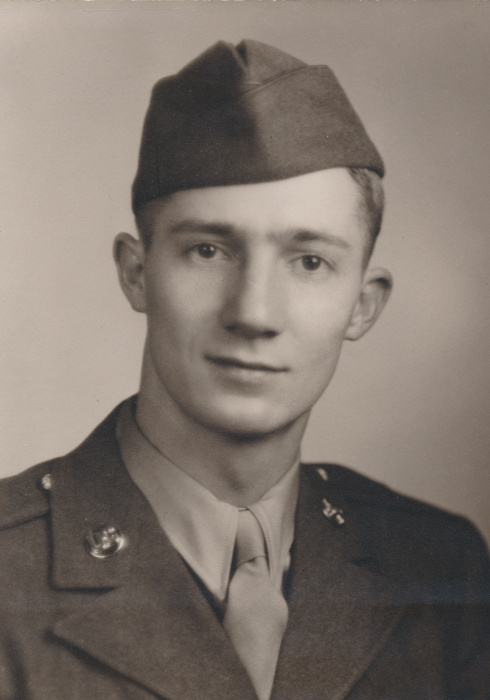 Following his honorable discharge from the military, Elmer completed his schooling and was recognized as a member of the Class of 1942 from St. Mary's High School, he later went on and attended the Sandusky Business School. Elmer had a long career as a Corporate Secretary of Lake Erie Canning Company and Office Manager at Brohl & Appell, in Sandusky, before retiring. Elmer enjoyed working on remodeling projects at his Finch Street home, where he and Mary lived for 62 years, and was always on call as the family handyman. He was skilled in woodworking and carpentry, he loved gardening and spending time outdoors. His other hobbies were golfing and bowling on the Cameo sponsored team with the same group of friends for over 50 years. Elmer was a longtime member of St. Mary’s Catholic Church and he had served on the SMH Athletic Board for many years, he was also a member of the Knights of Columbus Council # 546 where he had served as financial secretary of the Council. Elmer is survived by his wife, of nearly 70 years, Mary Margaret (Butts) Kromer, who lovingly cared for him until his death. They were married in St. Mary’s Church on September 3, 1949. He is also survived by four daughters, Kathleen (Bill) Murphy, Plymouth, MA; Marleen (Gary) Stuhlfauth, Columbus; Cynthia Ann (Joe) Carey, Dayton; Patricia (Sam) Rimboch, Huron; and son, Timothy (Nancy) Jones, Oshkosh, WI; grandchildren, Kristen (Justin) Gennari, Megen (Patrick) Kania, Jude (Brittany) Kromer; Alison and Dan Murphy, Jeremy (Katie) and Nathan Stuhlfauth, Clarissa, Maggie, Alex, and Matt Carey; Marcus (Dorry) and Sarah Rimboch; Alexis Jones (Brady) Calmes, Anna and Collin Jones; great grandchildren, Jencyn Gennari, Cuper and Macie Kania, Avery and Reed Rimboch, and Eleanor Calmes; and a daughter-in-law, Kim (Koch) Kromer of Sandusky. Visitation will be held on Saturday morning, March 23, 2019, from 8:30 am until time of the Mass of Christian Burial at 10 am at Sts. Peter and Paul Catholic Church, 510 Columbus Avenue, Sandusky. Fr. Monte Hoyles officiating. Burial will be in Calvary Cemetery, Sandusky. Military honors will be conducted by the American Legion Post # 83 Color Guard. The family suggests that memorial contributions may be made in his memory to St. Mary's Catholic Church, 429 Central Avenue, Sandusky, OH 44870; Stein Hospice Service, Inc., 1200 Sycamore Line, Sandusky, OH 44870 or to Back To the Wild, P. O. Box 423, 4504 Bardshar Road, Castalia, OH 44824. Your memories and words of comfort may be shared with Elmer's family at davidfkoch.com.